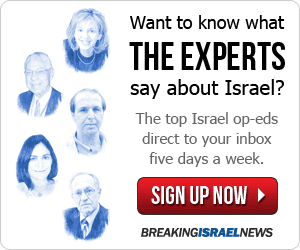 An Israeli Soldier to American Jews: Wake Up! As a young Israeli who had just completed five years of service in the IDF, I looked forward to my new job educating people in the Pacific Northwest about Israel. I was shocked, however, by the anti-Israel bigotry and hostility I encountered, especially in the greater Seattle area, Oregon, and Berkeley. I had been very liberal, a member of the leftist Zionist party, Meretz, but the anti-Semitism and hatred for Israel that I have seen in the U.S. has changed my outlook personally and politically. s a young Israeli who had just completed five years of service in the IDF, I looked forward to my new job educating people in the Pacific Northwest about Israel. I was shocked, however, by the anti-Israel bigotry and hostility I encountered, especially in the greater Seattle area, Oregon, and Berkeley. I had been very liberal, a member of the leftist Zionist party, Meretz, but the anti-Semitism and hatred for Israel that I have seen in the U.S. has changed my outlook personally and politically. When I served as a soldier in the West Bank, I got used to having ugly things said to me, but nothing prepared me for the misinformation, demonization of Israel, and the gut-wrenching, anti-Israel, anti-Semitic hostility expressed by many students, professors, church members, and even some high school students right here in the Pacific Northwest. I was further shocked by how unaware the organized Jewish community is and how little they are actually doing to counter this rising anti-Semitism, which motivated me to write this article. This new form of bigotry against Israel has been called the “new anti-Semitism,” with “Israel” replacing “Jew” in traditional anti-Semitic imagery and canards, singling out and discriminating against the Jewish state, and denying the Jewish people alone the right to self-determination. The new anti-Semitism is packaged in the Boycott, Divestment and Sanctions campaign (BDS), which claims to champion Palestinian rights though its real goal is to erode American support for Israel, discredit Jews who support Israel, and pave the way for eliminating the Jewish state. One of BDS’ central demands is the “complete right of return” for all the descendants of the original Palestinian refugees, subtle language that means the end of Israel as the Jewish homeland because it would turn Israel into a Palestinian-Arab majority state. It is surprising that an extremist group like BDS is ever taken seriously, but BDS advocates have found receptive audiences in some circles. Their campaigns are well organized and in many cases, well financed. They have lobbied universities, corporations, food co-ops, churches, performing artists, labor unions, and other organizations to boycott Israel and companies that do business with Israel. But even if these groups don’t agree to treat Israel as a pariah state, the BDS activists manage to spread their anti-Israel misinformation, lies and prejudice simply by forcing a debate based on their false claims about Israel. Such irrational accusations are symptomatic of dangerous anti-Semitism. Yet, alarmingly, most mainstream American Jews are completely oblivious to this ugly movement and the threat it poses. They seem to be asleep, unaware that this anti-Jewish bigotry is peddled on campuses, by speakers in high schools, churches, and communities, and is often deceptively camouflaged in the rhetoric of human rights. The American Jewish community and its leaders are not providing a united front to combat this latest threat. Unfortunately, this repeats a pattern of Jewish communal groups failing to unite in a timely way to counter threats against us individually and as a community. Shockingly, a small but very vocal number of Jews actively support BDS. They often belong to organizations that prominently include “Jewish” in their names, like Jewish Voice for Peace, to give cover to BDS and the anti-Semitism that animates it. A question that we, as a Jewish community must ask ourselves, is whether it is ever appropriate to include and accept Jews who support BDS and directly or indirectly advocate the ultimate elimination of the Jewish State of Israel. I think it is not. My experiences in America have changed me. I never expected to encounter such hatred and lies. I never believed that such anti-Semitism still existed, especially in the U.S. I never knew that the battlefield was not just Gaza, the West Bank, and hostile Middle Eastern countries wanting to destroy Israel and kill our citizens and soldiers. It is also here in America, where a battle must be waged against prejudice and lies. I implore American Jews: do more. Israel cannot fight this big battle alone. If you are affiliated with a Jewish organization, let it know you want it to actively, openly and unequivocally oppose the BDS campaign and those who support it. Inform yourself, your friends and families, by visiting websites of organizations like StandWithUs, Jewish Virtual Library, AIPAC, AJC and others that will update you and provide information about BDS and anti-Semitism. I urge the organized Jewish community and its members to wake up and stand up for the Jewish state of Israel, and for all it represents, and for all it works to achieve. 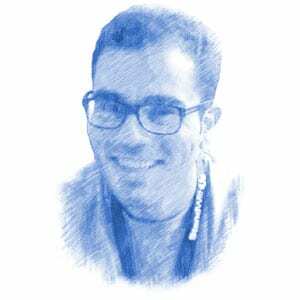 Hen Mazzig is an Israeli writer, international speaker, social media activist and advocate. Hen’s family comes from Iraq and North Africa (Berber Jews from Tunisia), giving him a unique background for his talks, in which he shares his family’s story and the story of 850,000 Jewish refugees from Arab countries. During his service as a lieutenant in the COGAT unit, he worked as an intermediary between the Israeli Defense Forces (the IDF), the Palestinian Authority, the UN, and the many non-governmental organizations that work in the West Bank.